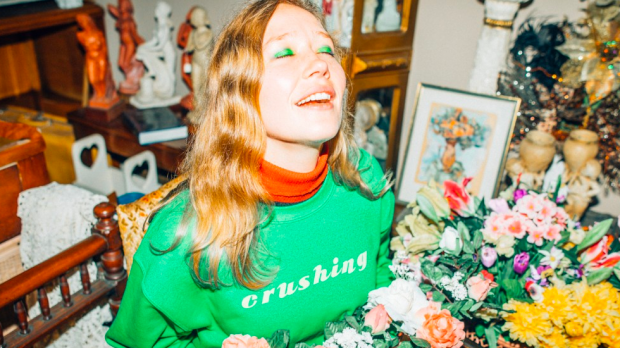 In new track Pressure to Party, Julia Jacklin speaks matters of the heart. As she states “touching some strangers face, but I don’t want anyone to ever take your place,” your heart winces from that feeling that comes with having loved and lost. Taken from her upcoming album Crushing (out February 22) there is something about Jacklin that is unique – she is completely believable and transparent, like a trusted, old friend. It’s the same quality that makes the likes of Nina Simone and Patti Smith so great. When Jacklin sings, it makes you feel like everything else is crushed and paused around you, and it’s just you and her and your shared synergy. In Pressure to Party, Jacklin’s talent for writing melodies is accompanied by her powerful but understated vocals that have an old folk charm, as well as warm and rich alt-country guitars and drums that chug along and are bathed in toe-tapping goodness. Just when you think it can’t get any better, Pressure to Party is accompanied by a breathtaking video which shows women (from Sydney band Body Type) and girls in various party states, including; playing instruments, dancing, talking and lounging, all done in old outfits of Jacklin’s. In a way, the women embody the stages of love and love’s aftermath, but as they take a trip down memory lane, they show that it’s okay to live in the past sometimes and take your time to feel okay again. The song is the epitome of doing just the right amount, of keeping things simple, but honed. It is poetic and perfectly crafted, but also uninhibited. It cements Julia Jacklin as one of the best current Australian songwriters.